Using sizzle reels, musical guests, and star appearances, broadcast and cable networks put maximum effort into producing elaborate events for media buyers. 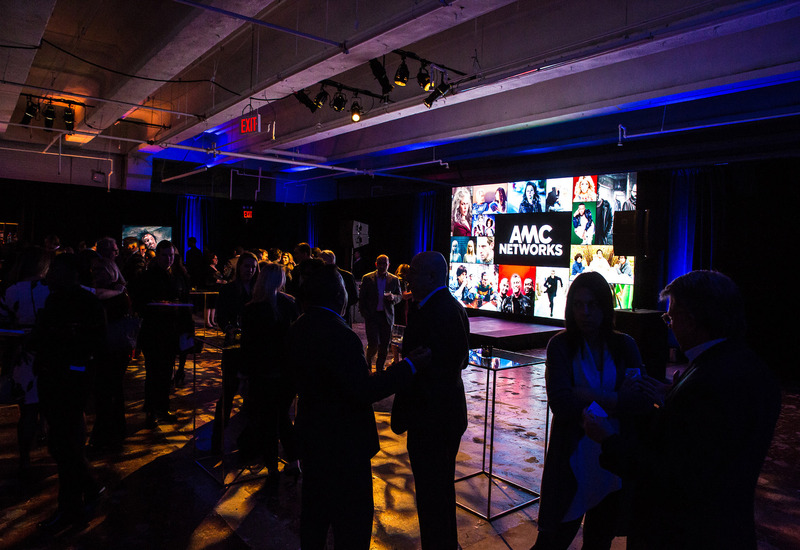 Our team partnered with an NYC production company to provide multiple LED screens for the duration of the AMC Upfront at Skylight Clarkson North in New York City. We were tasked with creating an immersive video environment in and around the dining and cocktail areas. 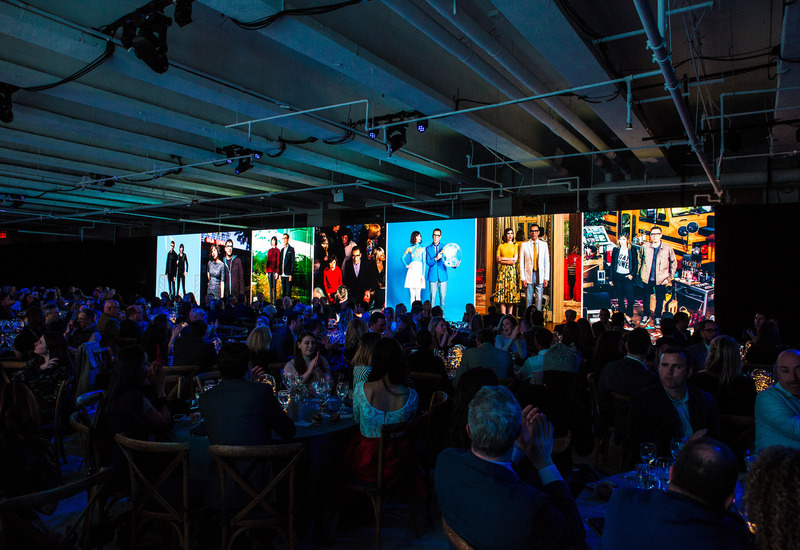 A 9’ x 16’ screen was used as a backdrop in the cocktail area showcasing the network’s series’ promotional content and two 10’ x 65’ screens flanked the sit-down dining area. 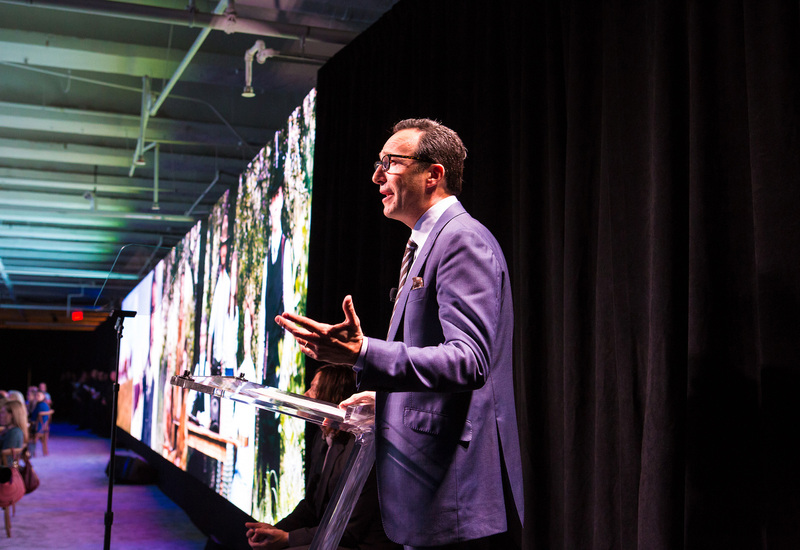 All screens were comprised of ROE’s Black Onyx, 3mm tiles, perfect for the guests’ close proximity to the videos.